Deploy time approx. 25 min. 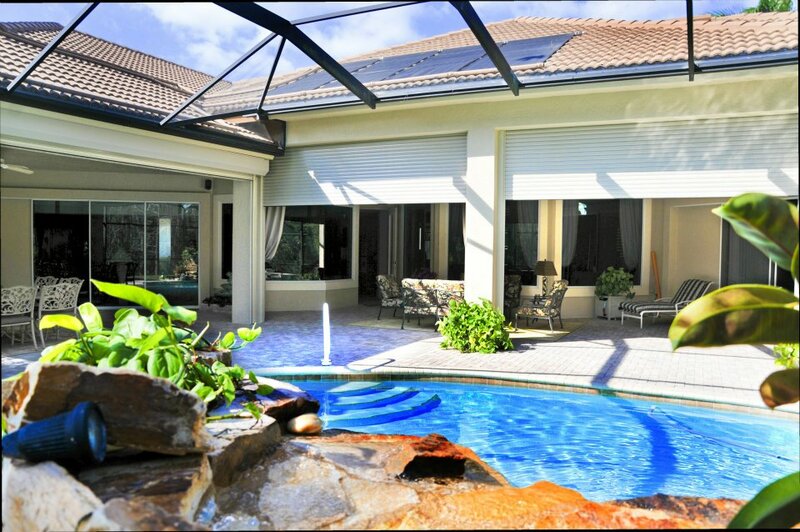 per average house. 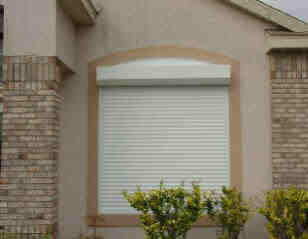 Roll Down Shutters incorporate engineering, beauty, and convenience. 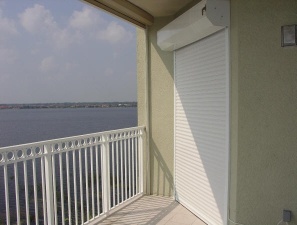 With the highest level of protection against flying debris and hurricane force winds, these shutters also guard against theft and forced entry, providing instant safety with just the touch of a button. 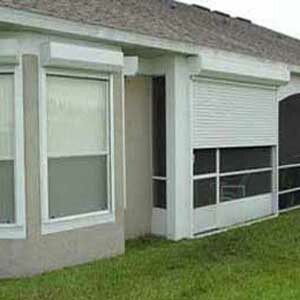 Roll Down Shutters may also be motorized, remote control operated, or even operated via the telephone or the internet. 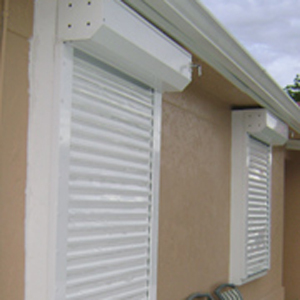 The Roll Down Shutter rolls up or down over an opening, offering first-rate storm protection. 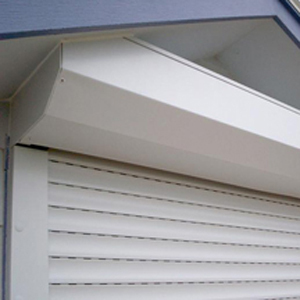 As well as being energy efficient, they’re also great for noise reduction. 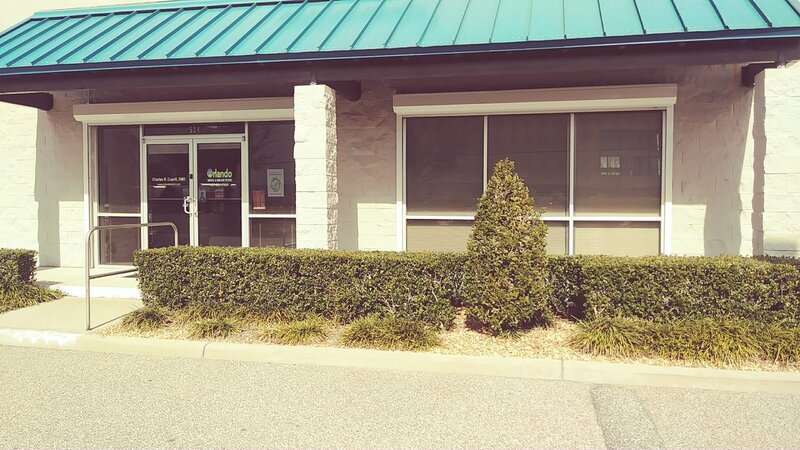 Plus their handsome exterior allows them to work well as window treatments, complementing any style of residence or place of business. 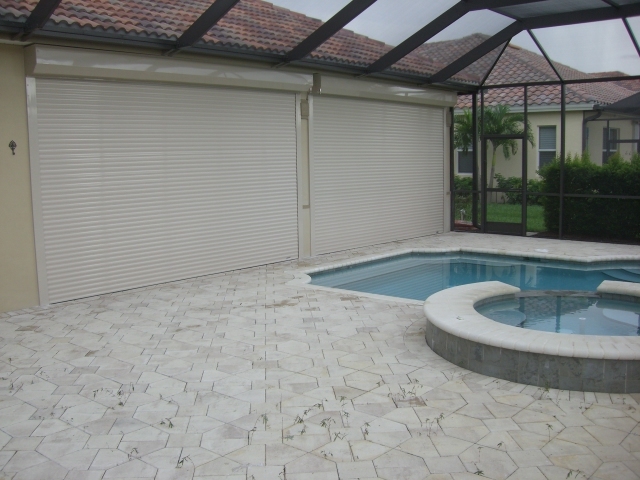 GET A FREE HURRICANE SHUTTER ESTIMATE TODAY! 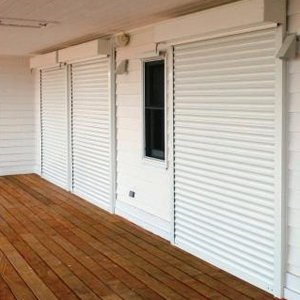 Shutters were finished and installed in less than 3 weeks. 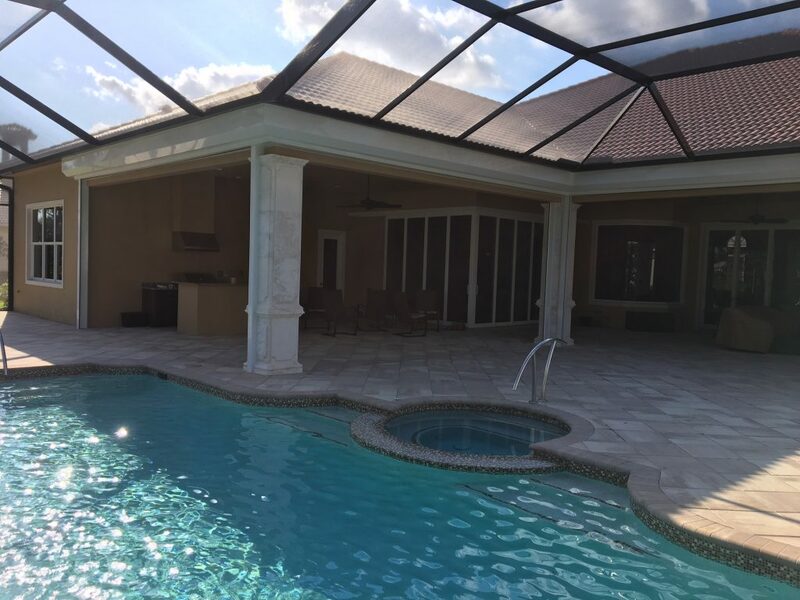 Installation crew were very friendly and very professional. Will HIGHLY recommend them.